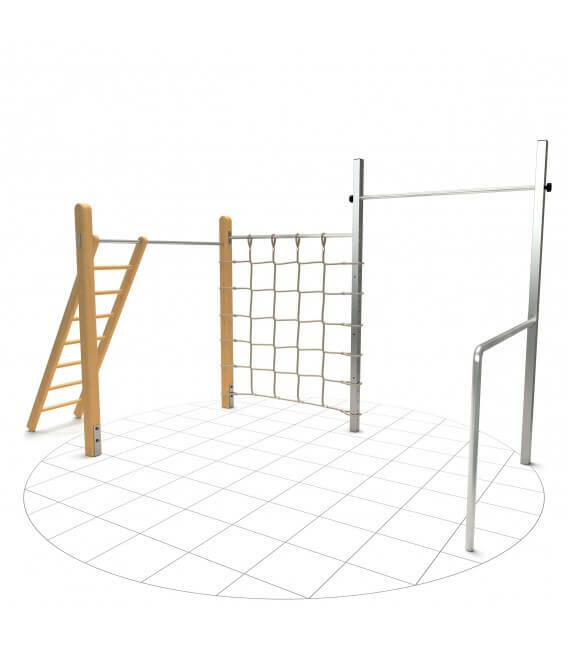 The best of both worlds: For the children, a warm wooden play area, for adults, a professional training area in stainless steel. 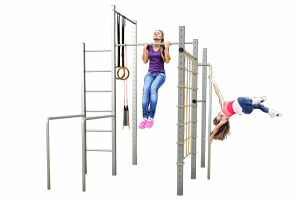 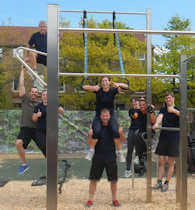 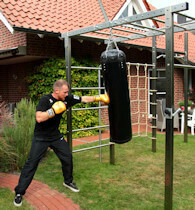 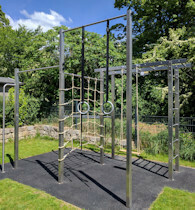 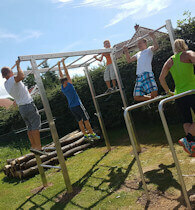 The pull-up bar in the stainless steel area is adjustable in 25 increments; the gym bar for the kids in six increments. 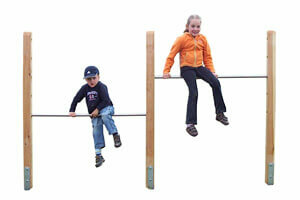 Thereby adults, youths and children alike can quickly find the right height. 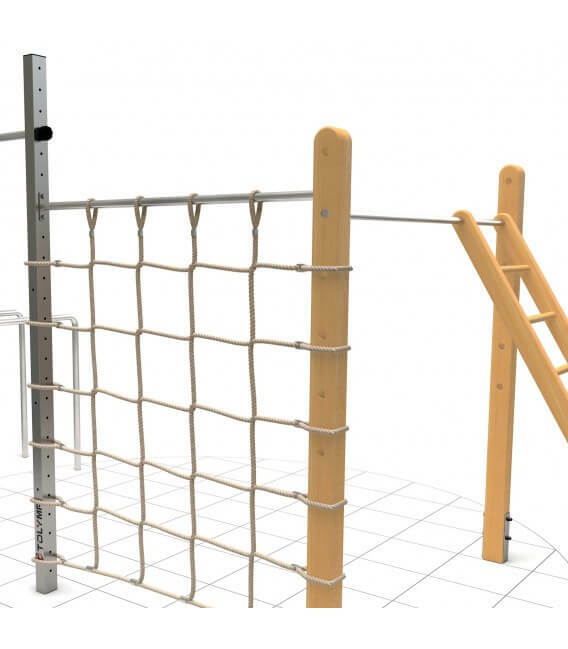 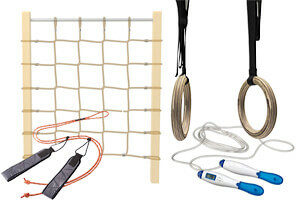 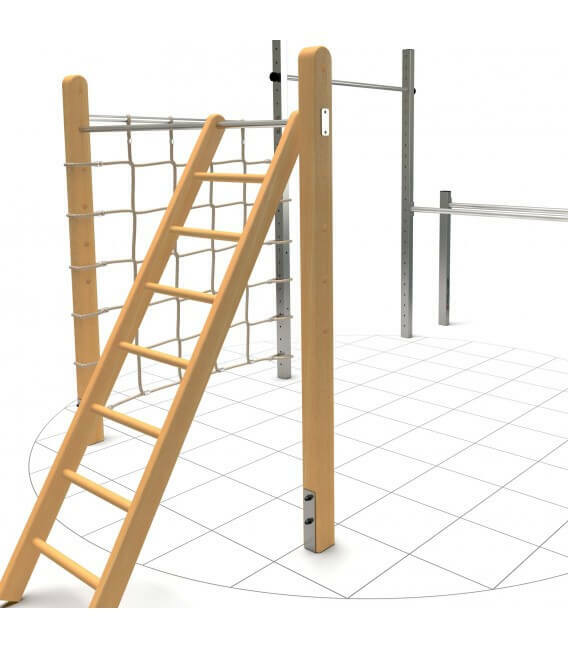 The climbing net and the ladder respectively are available as product options at an additional cost. 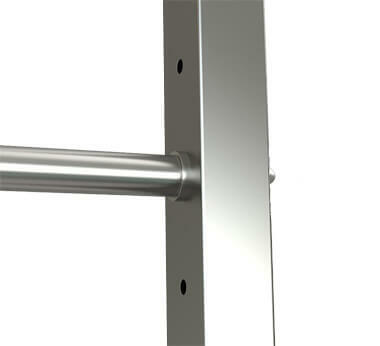 Stable construction, finished throughout in V2A stainless steel and high quality, split-core larchwood. 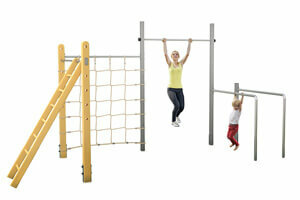 A fully-equipped installation with all sorts of training and play possibilities for the whole family. 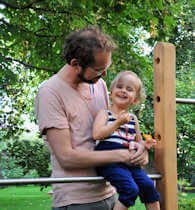 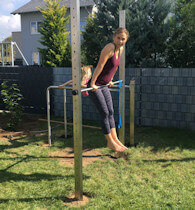 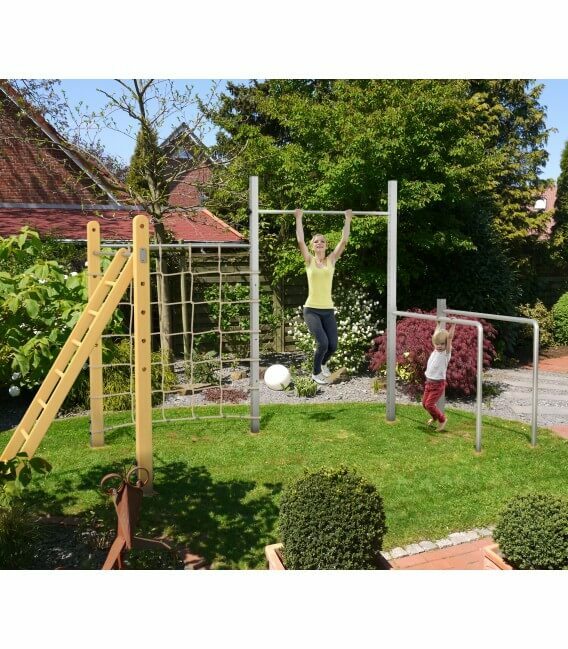 The pull-up bars imin the parents‘ area can be adjusted however you wish, in 25 increments from 15 cm to 240 cm, using the quick-adjuster included. 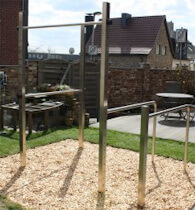 The gym bar, which joins the two segments, can be permanently mounted between wood and stainless steel posts, on a 9 cm grid. 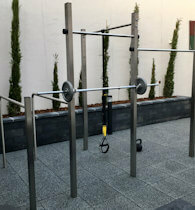 The third gym bar in the larchwood area is adjustable 6 ways. 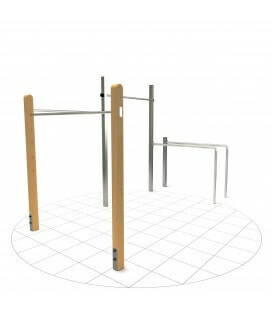 Complete, fully worked posts made from untreated, chemical-free larchwood, measuring 9 x 9 cm, 200 cm long. 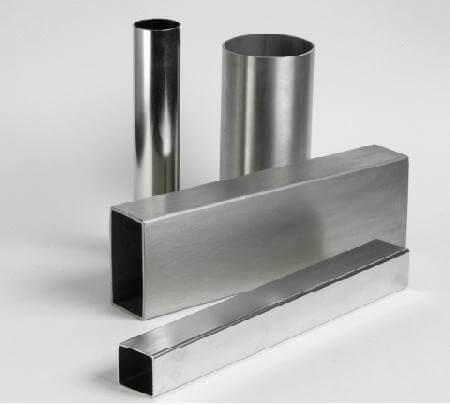 All edges and cut faces softly rounded, the upper end attractively finished in a semicircle. 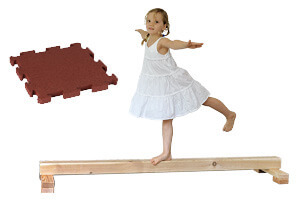 Treatment with wood preservers is unnecessary. 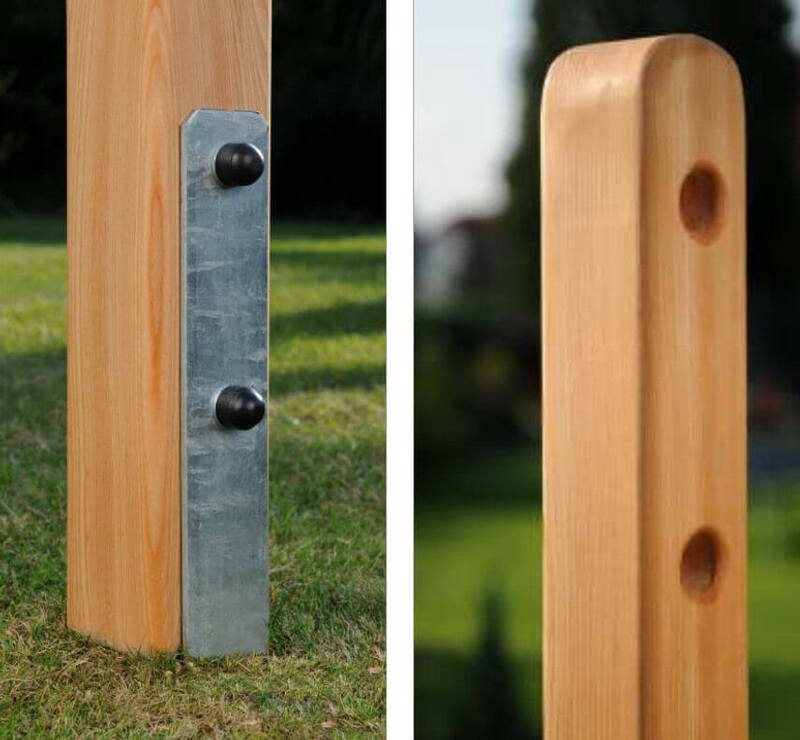 Even boat keels are made out of these exceptionally robust woods. 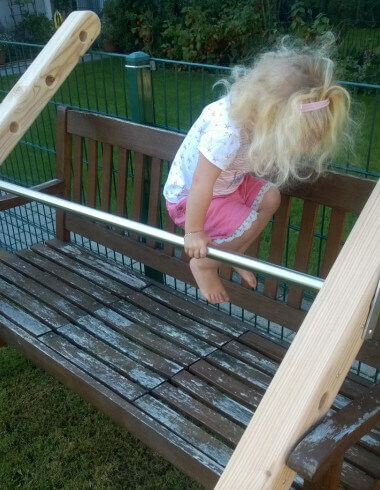 Therefore, no trace of chemical leaches out of the wood, as is the case with pressure-impregnated softwoods. 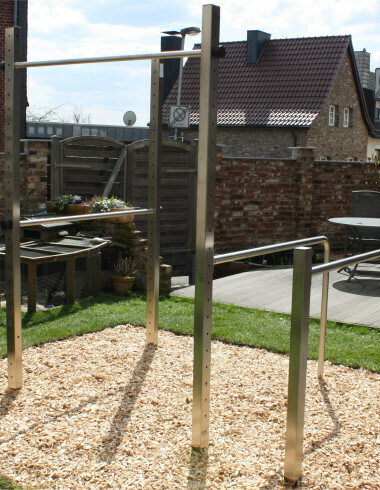 Otherwise, the wood possesses a fine aesthetic, which together with the stainless steel bar, turns the gymnastics bar into one of your garden’s highlights. 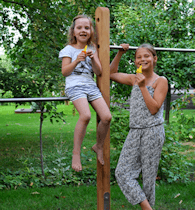 Naturally, it is up to you, if you want the wood treated with wood preserving oil, stain, varnish or any colourings, for aesthetic reasons. 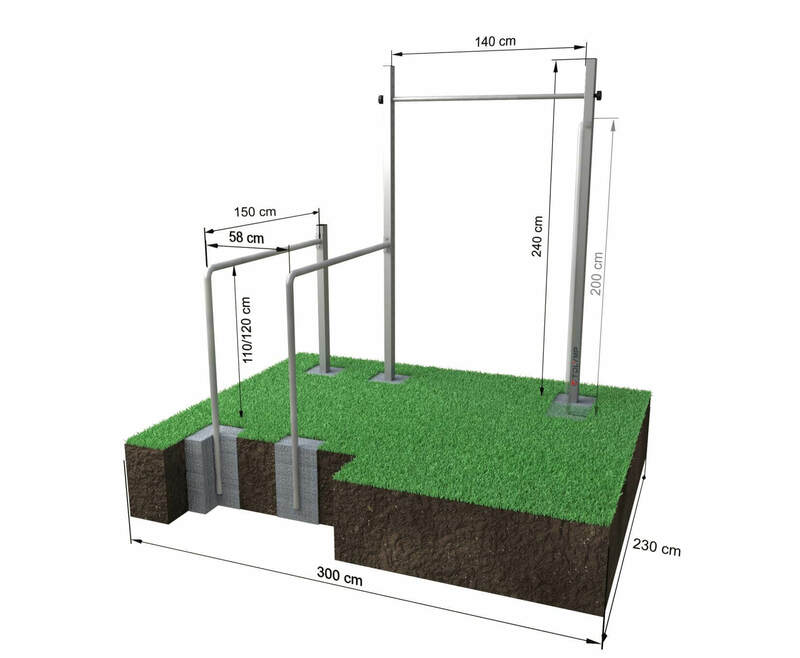 Delivery includes galvanised H-post mounts for setting into concrete in the ground. 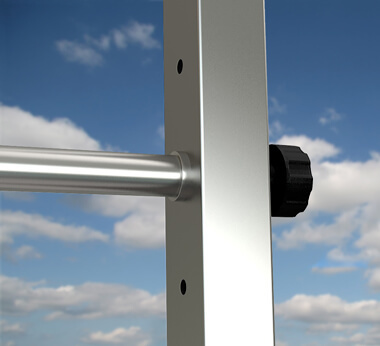 Please note that the lower fixing holes on the H-post mounts are not drilled. 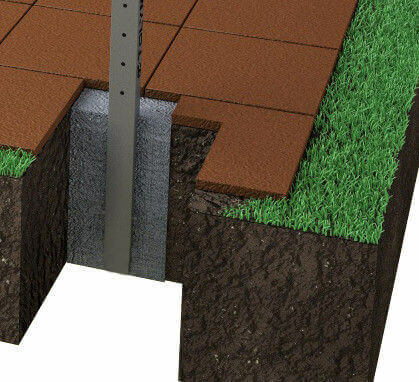 These must be drilled on site using a 12 mm bit. 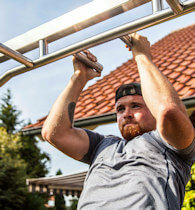 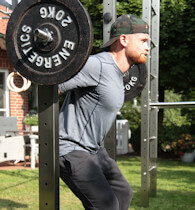 Adjusting the height of the bar is very easy and hassle-free. 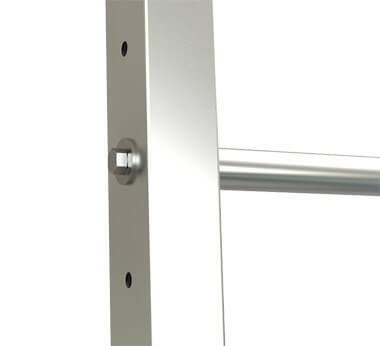 The horizontal bar can be detached from the welded-on safety latch using a screwdriver, the bar can be placed in a new position and then the latch can be re-fastened with the two screws, ensuring it is absolutely secure and does not rotate. 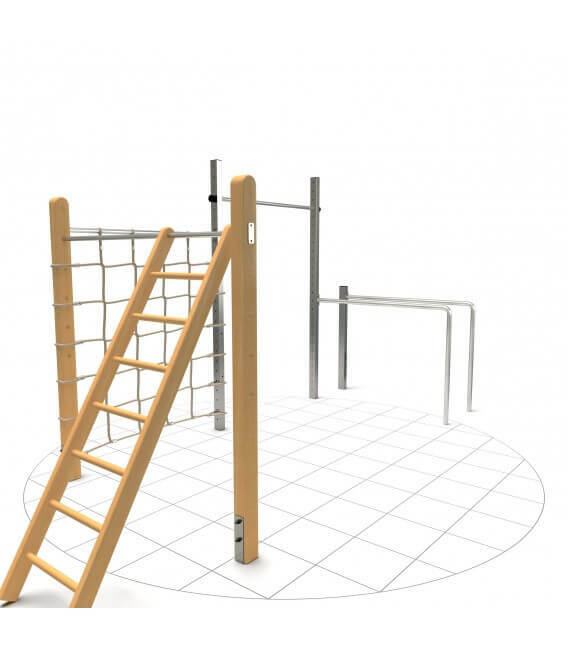 In addition, combining the mats with the wood-stainless steel products, will make the design of your play equipment very appealing. 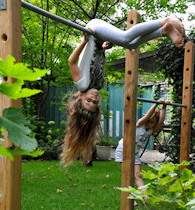 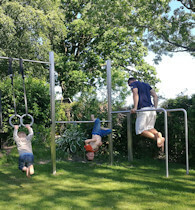 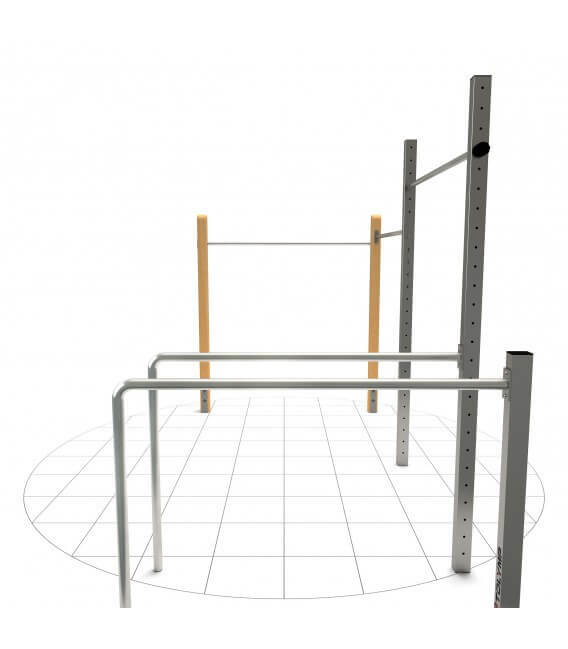 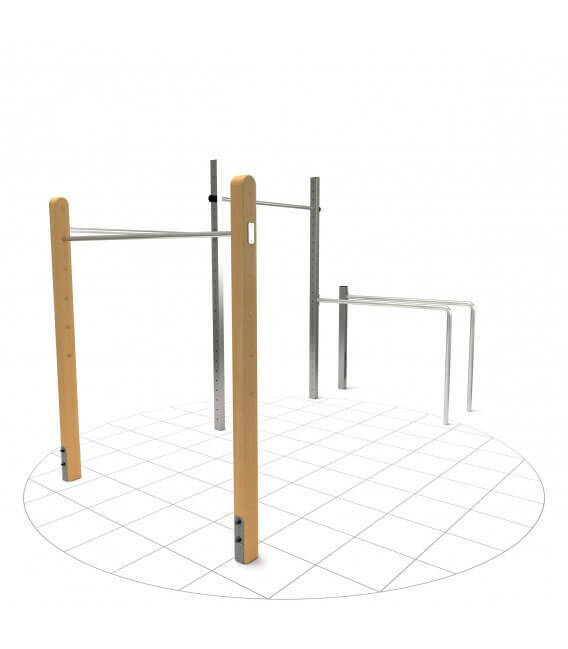 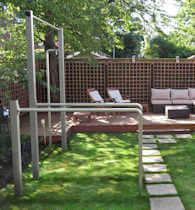 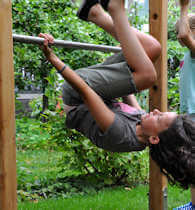 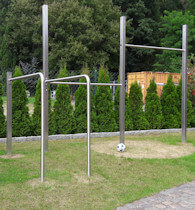 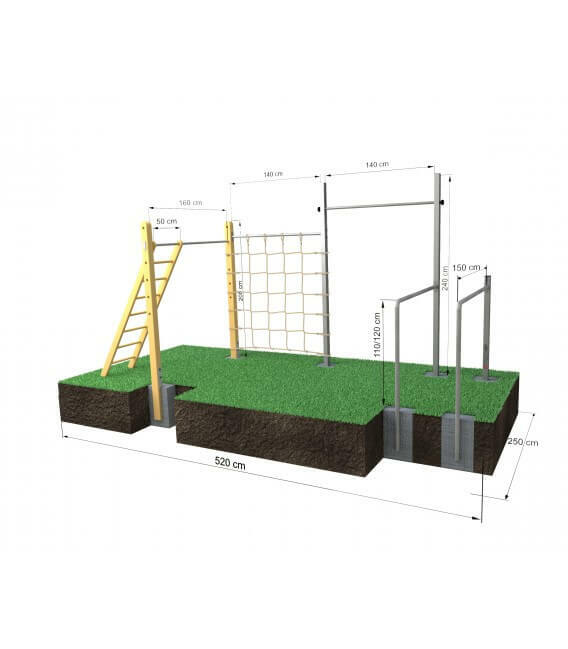 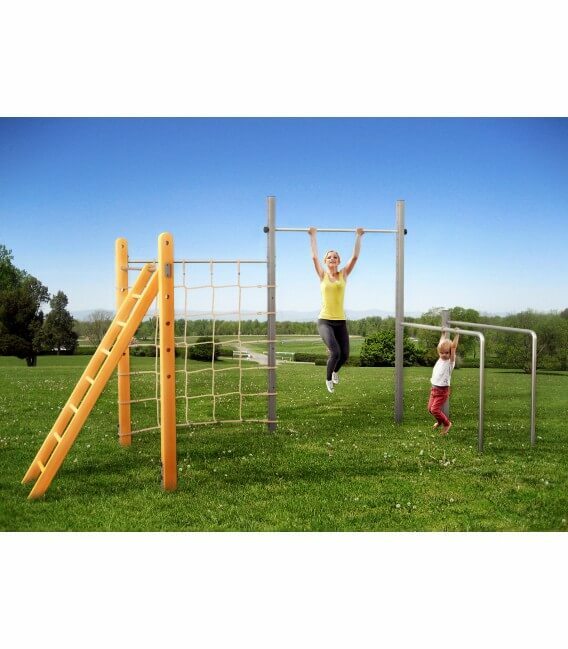 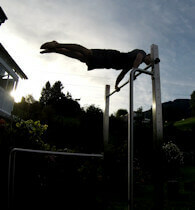 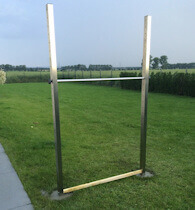 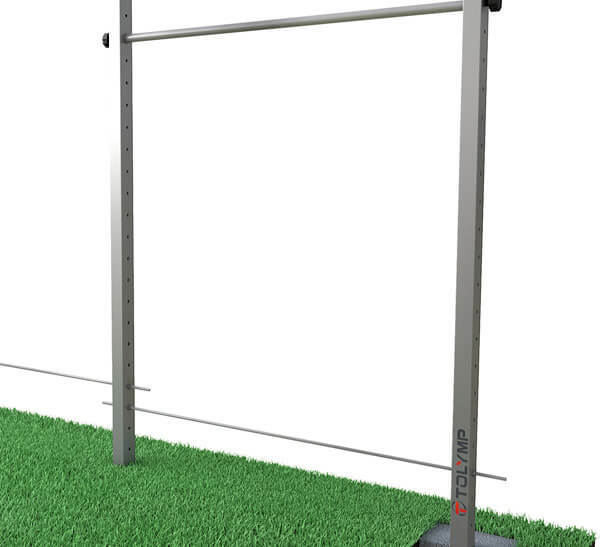 Place the gymnastic bar virtually and realistically in your garden. 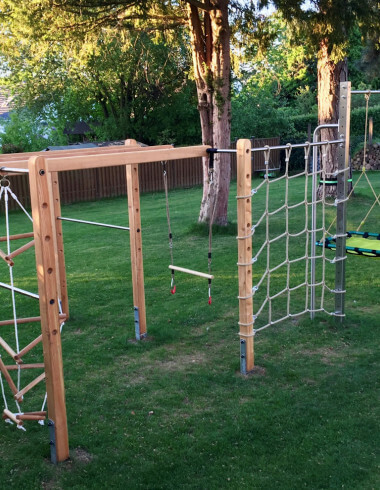 Your family and friends will be amazed. 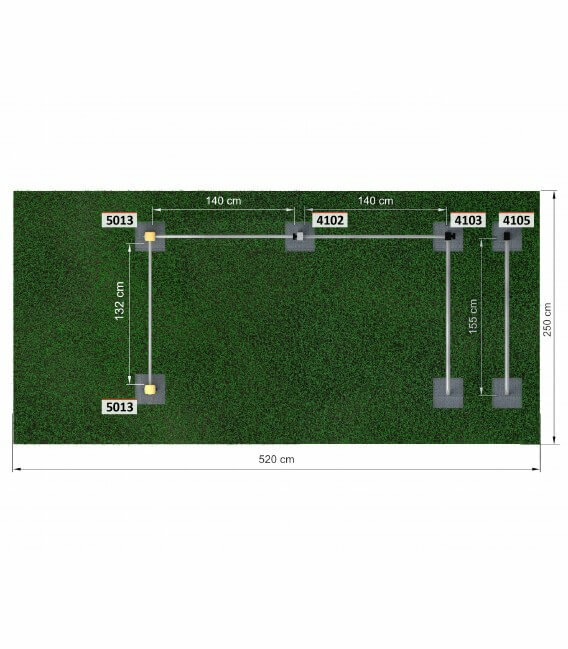 Also check the size directly at the planned location. 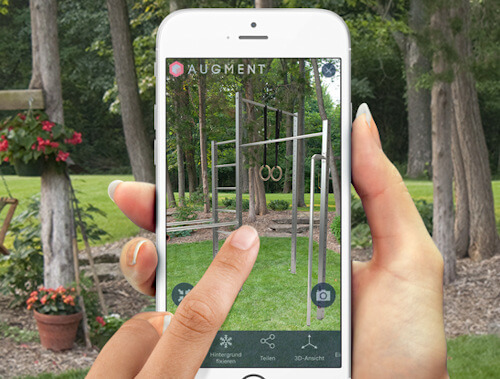 Thus, the station loads in the AUGMENT App. 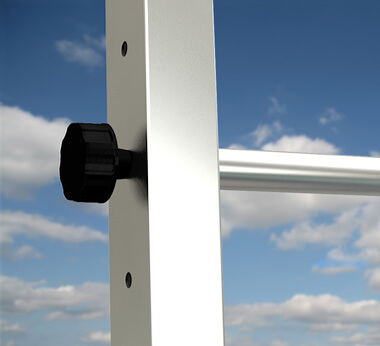 The standard delivery package includes a welded M12 threaded insert on each side of the gymnastics bar . 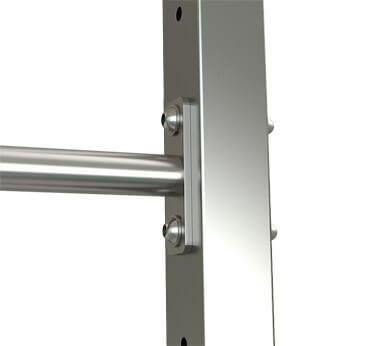 This is bolted from the outside with a central bolted connection and held reliably. 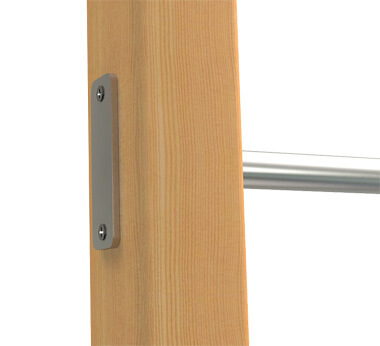 This screw has a solid star grip by which you can The rod can be tightened on each side. 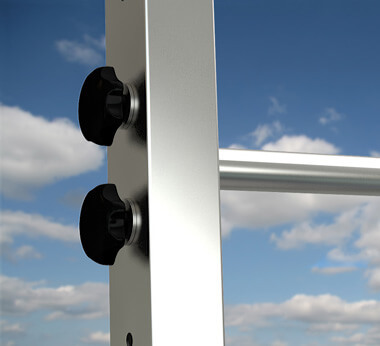 For a surcharge, a variant with Two welded-on mounting straps are available with two M12 screws per side holding the rod. 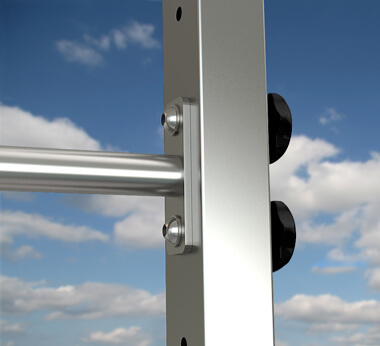 This reliably prevents co-rotation of the rod even under heavy loads. 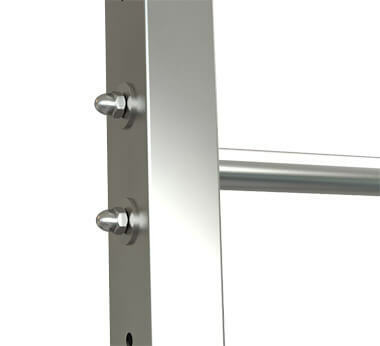 The screws are designed as cheese-head screws , so that there is no on the inside of the power bar Risk of injury consists of protruding screw heads. 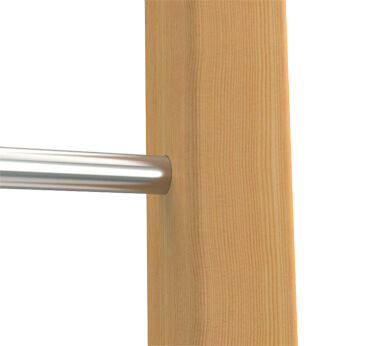 In this version, we supply 2 powerful star grip nuts per side, with which you can quickly fix or loosen the M12 screws. 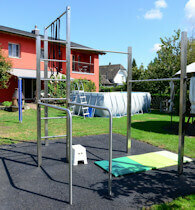 A nice photo of one of our bestsellers, the Dip Buin Duo Station, set up at a customer's home in Würselen near Aachen. 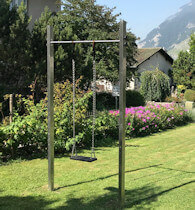 We all know that children can't wait that long. 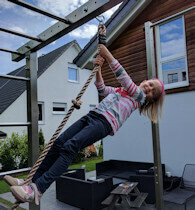 Sophie is no exception.